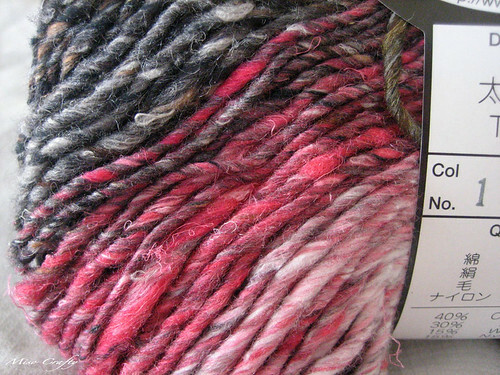 Miso Crafty Knits: Celebrate good times, c'mon! This past weekend the Bitchy Bees had a Ravelympics Celebration Brunch at Pagliacci's. Normally I don't get the chance to go to the extra Bees events other than the Friday knit nights cause they usually fall on the days and/or times when Brett's working. So it was quite the treat to be able to make it to the brunch with my fellow Bees! Major thanks and shout-outs to the amazing Michelle for being our team captain, for putting together prizes, and for going that extra mile by sorting out a brunch date! Snaps to you Michelle!! Now, I've only been to Pagliacci's twice and both times it was crazy busy with a never-ending lineup outside. So I really wasn't surprised that by noon it was starting to get busy and we ended up having to relocate ourselves in order to get down to business - the prizes for the Ravelympics! The lovely Stephanie of Knotty By Nature offered us the use of her store's basement so that we can relax, knit, and continue on with Bees business. That was definitely über sweet of her, but at the same time it was utterly dangerous to have a bunch of knitters converging at a yarn shop! Anyways, Michelle was beyond organized and thoughtful and made it so that all Bees that participated in the Ravelympics walked away with a prize! 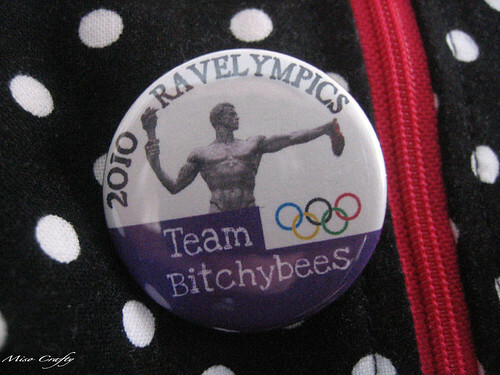 First off though, she handed everyone a Team Bitchybees button (pictured above! ), chocolate, a tiny "champagne bottle" of bubbles, and a yummy organza sachet of dried lavender (which I couldn't stop huffing all day!). Then it was project show-and-tell/prize time! 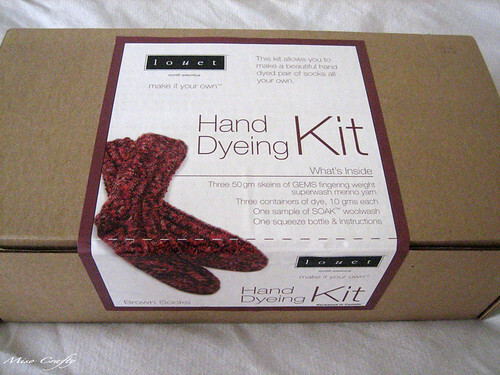 I walked away with this wonderful Louet Hand-dyeing sock kit that was donated by Stephanie and Knotty By Nature! 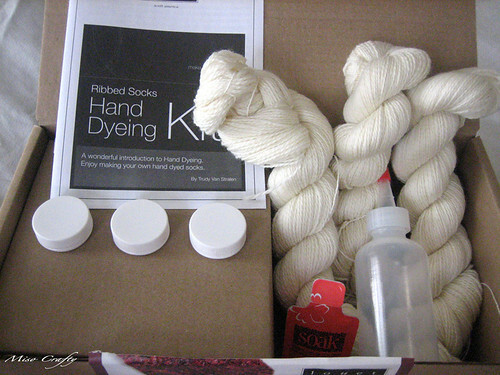 I can't wait to try my hand at dyeing some yarn, something that I've been wanting to do but have never gone past the Kool-aid dyeing. This kit is a brown kit, I'm wondering if I can somehow achieve a S'mores type colorway? Or maybe something tiger-stripes like? Hmmm...that might be too ambitious and more complicated than what the kit can handle. I don't think I'm going to use the sock pattern that came with the kit, but am thinking of one of the patterns from the book 'Socks From the Toe Up' by Wendy Johnson. ooooo... realllyyyy preeettyyyyy. 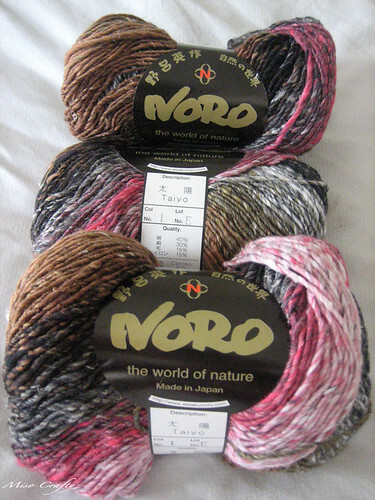 I approve of the yarn choice! I stopped by the B&NB yesterday and the owner guy was really excited about our event and was asking all about it! Oooh I like that taiyo, it's very squishy. I made a scarf with mine. Thanks Nat and Wendy! The owner guy is so nice and always seems super enthusiastic about all things knitting and Jared Flood. I hope that when I go in there that he or his wife will be working! Wendy, I'm thinking of making either a scarf or a shawl out of mine. I was thinking of either a Clapotis or an Entrelac wrap...any suggestions?